HighTech themes are a unique category of premium WordPress themes, as they may be multi-functional. Hopper will easily become a prime platform either for an internet blog or a computer website. The conjunction of purple and black colors in the theme background make Hopper brilliant, striking and alluring for people’s eyes. Responsive design is accessible in the theme settings. 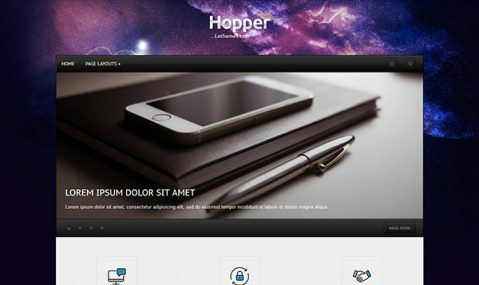 Technology helps your organization stay at the technological cutting edge – Hopper hightech theme may become one of its links. Thus download it for free without delay!